First of all, consult with a California trust attorney for guidance and more information about your legal options. Furthermore, obtain a copy of the trust. Also, gather copies of all communications relating to the trust administration process. Additionally, request a copy of the trust accounting. If you have not received one, request a copy or gather the information that you do have relating to the assets of the trust. 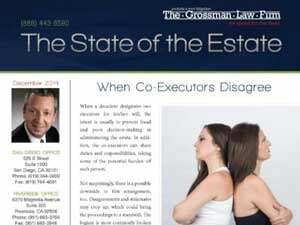 Finally, weigh carefully the benefits of filing a lawsuit against the trustee versus the costs associated with doing so. In conclusion, this final step is perhaps the most important. It is essential that you balance the costs of California trust litigation with protecting the assets of the trust. In some cases, there may be less expensive options for addressing the trustee. 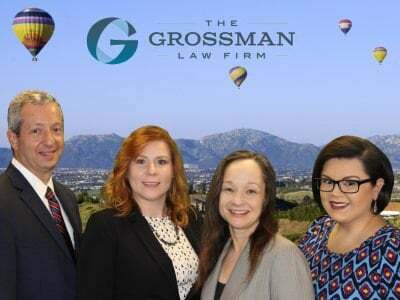 For example, if you are concerned with the manner in which the trustee is investing the trust assets, it may be best to first investigate further before filing a lawsuit against the trustee. Our article Six Questions to Ask if You Suspect Poor California Trustee Investments provides an overview of the information you should seek in such a case. 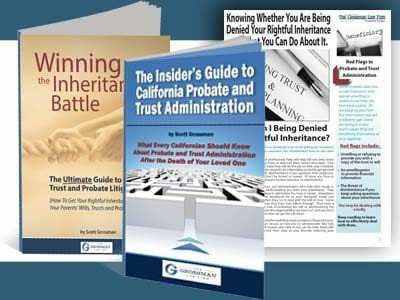 To learn more about the litigation process, view our free guide The Ultimate Guide to California Trust and Probate Litigation. To learn more and obtain guidance in bringing your own action, contact an experienced Riverside trust litigation attorney today. Call our toll-free number at (888) 443-6590. An organization (ie:bank) or someone else can manage the money or property in a trust usually at a set period of time. They are managed by Trustees and are set up to help better serve the beneficiary’s interests. It is a legal document that tells the Trustee how to specifically handle the money and assets on behalf of the beneficiary according to the Trusts wishes.